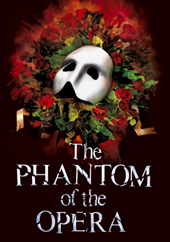 From Monday 7 September 2015, there will be major cast changes in the smash hit Andrew Lloyd Webber musical “THE PHANTOM OF THE OPERA” at Her Majesty’s Theatre in London's West End. John Owen-Jones returns as The Phantom from Monday 7 September 2015 (having most recently played the part in the new production of the show on the UK). He has played the role more times than any other actor in the West End production’s history and has also played the role of ‘Jean Valjean’ in “Les Misérables” in the West End, on the 25th anniversary tour and on Broadway. He was the first British actor to play the role in the West End and on Broadway. He most recently appeared as ‘Pirelli’ in the English National Opera production of “Sweeney Todd”. He will play the role of ‘The Phantom’ until Saturday 30 January 2016. Ben Forster will play the role of ‘The Phantom’ from Monday 1 February 2016. He is probably best known for winning the ITV1 show, ‘Superstar’ - Andrew Lloyd Webber’s TV talent search for ‘Jesus’ in “Jesus Christ Superstar”. His other theatre credits include ‘Magaldi’ in “Evita” at the Dominion Theatre. Ben will join “THE PHANTOM OF THE OPERA” following his appearance later this year as ‘Buddy’ in “Elf The Musical” at the Dominion Theatre over Christmas.